We all fell in love with minimalism in the recent years—it’s super clean, simple, airy and fresh. Most of all, it’s classic. You’ll never go wrong with it. If that’s your personality, you’d still embrace minimalism even now. However, this 2019, we look forward to a different take on interiors. Many homeowners have been choosing more out of the box home décor pieces, textures, patterns, and colors. Nothing wrong with minimalism—this year is all about being yourself and letting your personality shine through your abode. So, if you are your constant minimalist self, don’t be afraid to be the same you. After all, interior design should be about your personal sense of style. But in case you want to incorporate some new trends this year in your latest home revamp project, don’t hesitate to get some fresh ideas below. Yellow accent chair, red accent wall—you’ll see lots of it in the new home designs this year as many home owners are loving a warm and vibrant color palette that exudes energy, boldness, cheer, and happiness. Many home owners have taken the leap from the play-safe grays to out-of-the-box color combinations that give a home more attitude and confidence. 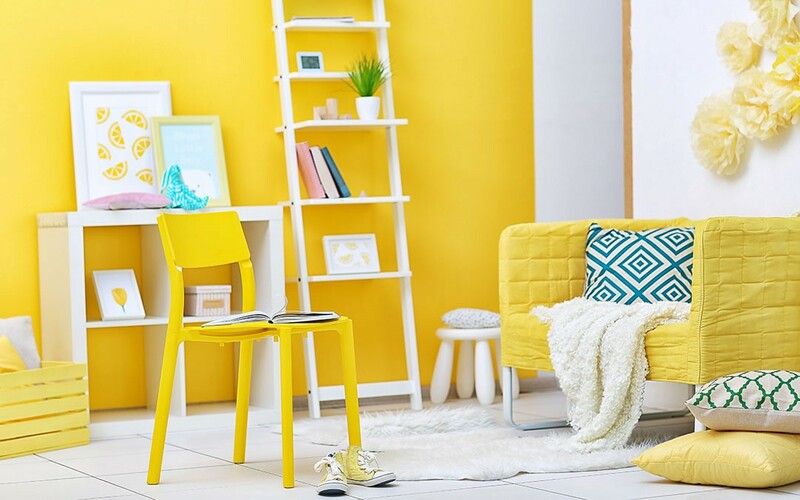 If you’re still afraid to paint your home with some vibrance, thinking that it might go wrong or you might dislike it afterwards, you can do baby steps in adding color to your home. For example, you can add a statement piece in a room such as a yellow accent chair, or an orange sofa. Just let those colors pop! Gradually, you’ll realize that adding color isn’t as scary as you think. Check out some ideas from this interesting article. We’ve seen lots of rose gold pieces in many home interiors in 2018. This year though, brass and copper accents are in. You can incorporate this trend in your bathroom or kitchen fixtures, modern vintage chandeliers, planters, vases, and other home décor pieces. You can add brass and copper accents by choosing drawer knobs and handles with these metals. 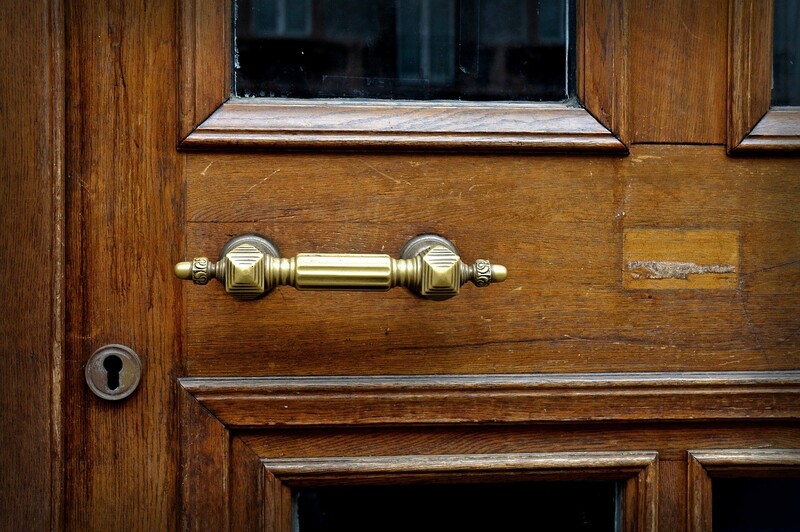 Brass or copper door knobs and locks would be a great idea, too, giving your home, a rustic but timeless feel. Because we’re moving on from gray tones, we need something new for our more neutral and lighter color palette as a backdrop for most walls of the home’s interiors. Of course, it should blend well with more vibrant colors such as reds, yellows, and oranges. And what else is perfect for that? Earth tones! In the past years, urban living has taken us far from nature. All we see are hard, concrete surfaces, glimmering city lights, high-tech gadgets and appliances, and more man-made structures. We’re so saturated with city life that we forget the scent of freshly-cut grass in a spring day, the sound of crisp, autumn lives crackling beneath our feet as we walk down the neighborhood, the beautiful colorful flowers in bloom, and the waves of the sea crashing on the shore. How we miss those little things that matter! No matter how we’re so used to living in the urban zone, we’d still yearn for nature, you know, things like trees, flowers, plants, and fresh veggies. This is why architects and interior designers have been incorporating biophilic design in their projects this year. If you’re doing your home revamp yourself, you can adapt to this trend by creating your own tropical escape right in the middle of the urban jungle. Let in lots of natural light and breeze in your home. Add in lots of indoor plants. Give yourself a sound of soft, flowing water. You’ll love how relaxing it is! Indeed, biophilic design is something we should incorporate in our home design plan, whatever year we’re in. Learn more about biophilic design here. Give your home a fresh revamp this year by incorporating any of these newest trends. Which is your favorite among the list anyway? Even if you can’t find any of those to fit your personality, don’t worry. Feel free to design your home in a way you’ll find beautiful—something you’ll love coming to at the end of the day!